Morten is a 10-year-old dreamer. His father sails the seas on his ship, The Salamander. Morten is taken care of by Aunt Anna, who is an evil task-master. Morten plays with a toy boat with insects for crew. One day, Morten is magically shrunk and awakes on his toy boat! He is thrilled to be a Captain, but the bugs are as big as he is and they eerily resemble adults from his “real” world. A storm is coming and the toy ship is sinking. 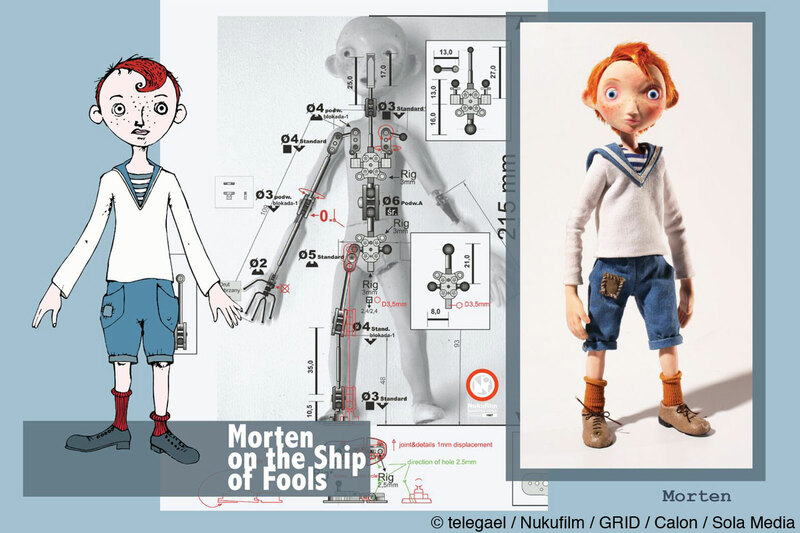 Morten must save the ship and return to the real world. 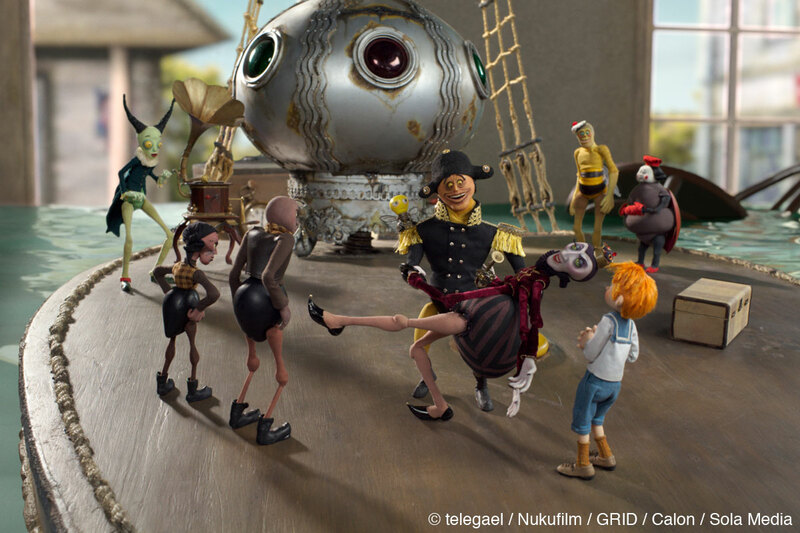 Captain Morten & The Spider Queen is a stop-motion animated film, which tells a story of a boy’s magical adventure. 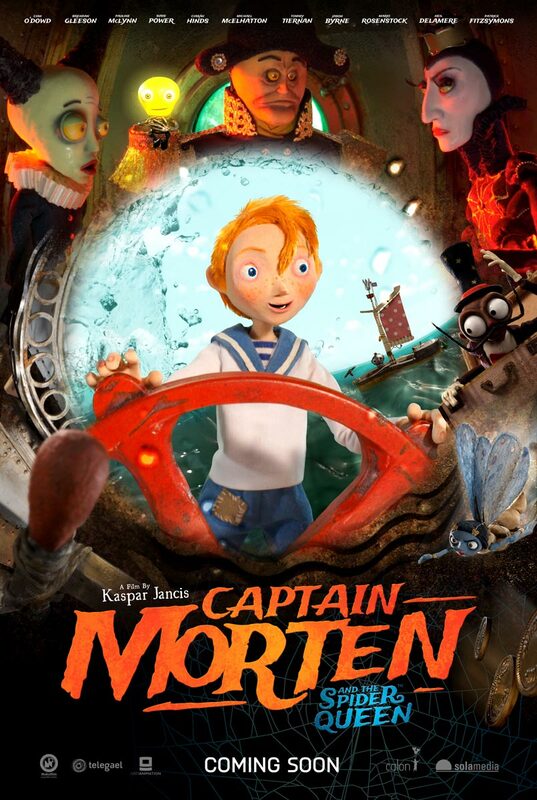 A 10-year-old boy, Morten, loves and admires his father who is the captain of a ship named “The Salamander” ,and he experiences a magical adventure in becoming a brave captain. The well-structured fantasy film will have its world premiere during Animafest Zagreb 2018. 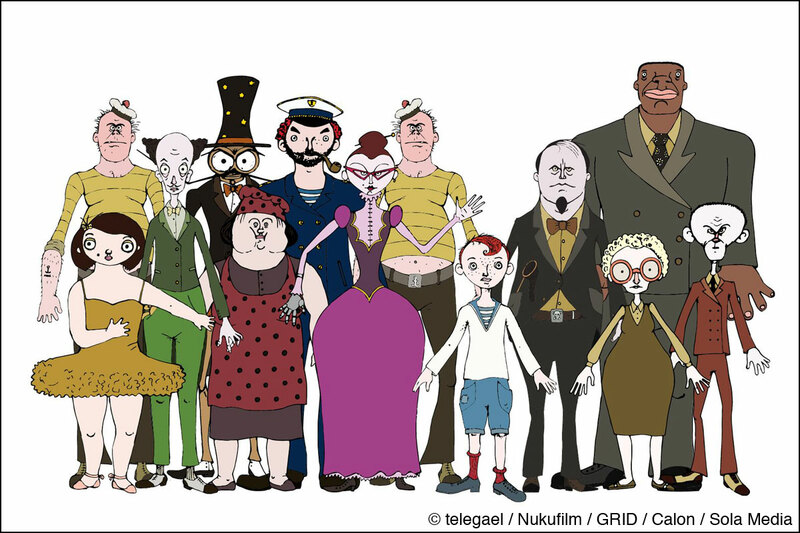 The film will also be screened at the Annecy International Animated Film Festival 2018. 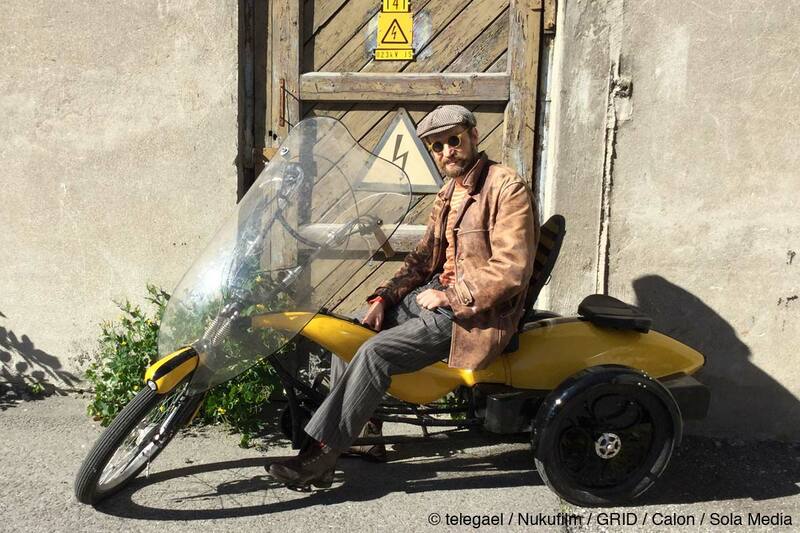 We are happy to share his precious words about the film from the director, Kaspar Jancis. Animationweek (AW): How did the film project start? Kaspar Jancis: At first, the project started as a script for a musical theater play with circus acts. 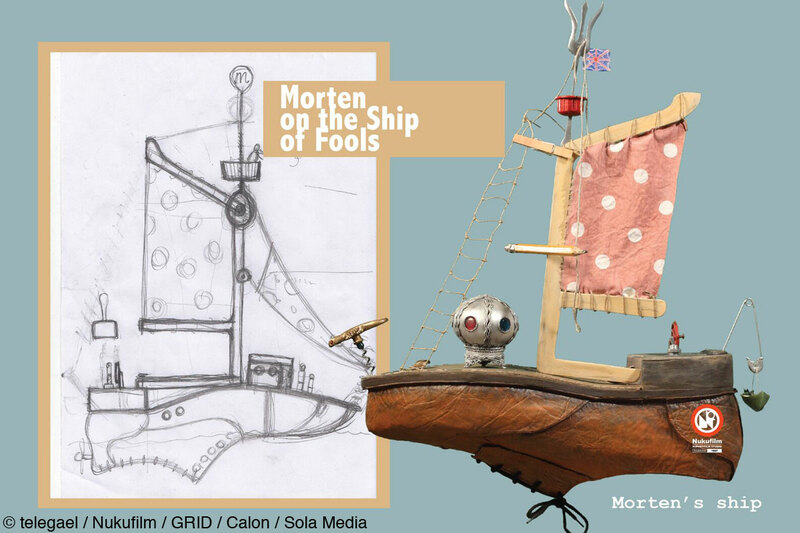 The play was called Morten on the Ship of Fools, which was also the working title for the movie. The theatrical crew was traveling around on the Baltic Sea on an old sail ship, giving shows on different venues both in Finland and Estonia. It was a great experience of building the set and playing the show, in-between vomiting on the stormy sea. At the same time, when I was waiting for a theater project to get funded, my friend publisher insisted me to write a book. After a short hesitation, I did it. It was a children’s book with my illustrations and music by my own band Criminal Elephant. One of the owners of Nukufilm, Andres Mänd, read it and he immediately asked if I would like to make this story as a full-length puppet animation. I agreed to give it a try and after 7 years, I can say that the mission is completed. It’s a good example on how things can lead to unexpected turns. At first, Morten was supposed to be a little side project, but it turned to be a major occupation for me for many years. AW: The original story, Adventure on Salamander, is also one of your works. How did you come up with the initial idea of the story? 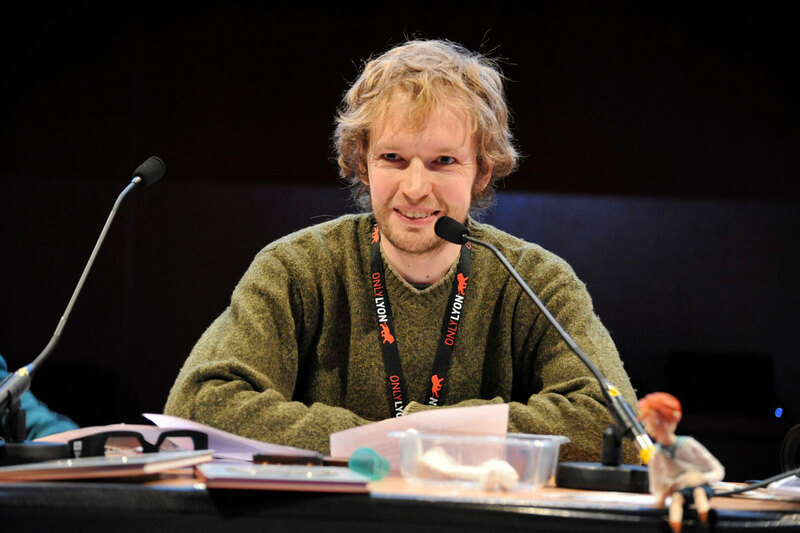 Kaspar Jancis: The initial idea started with an open call for projects participating at Tallinn 2011 Cultural Capital of Europe. The theme of the event was “Seaside stories”. So, I came up with my original seaside story to apply some funding for a traveling theater show. So it’s not an “unexplainable pressure at heart”, just pure practicalities that drove me to the start of this creative adventure. The subject matter for the story came from my childhood. When I was kid, I was keen on building my own toy boats. I remember that once I put some ants and other insects on the boat and floated it in a little river. I was reading a lot of adventure books, so I was imagining these poor creatures having an adventure of their life, and it never crossed my mind that I took someone’s freedom and projected my own agenda to fulfill my egotistical desires. I found this as a good dramaturgical starting point for the story. I think the misuse of power is still the main topic of the film, although the storyline has evolved a lot since the very beginning. When I started to write the story, I was looking for ideas I used to like when I was a kid. Becoming small was one of them. I really liked shrinking heroes in stories like Gulliver or Alice etc. My goal was to create an old-school fantasy with a modern twist. AW: What message did you want to deliver through Captain Morten & The Spider Queen? Kaspar Jancis: My main message is that you should stay true to your dream despite the individuals who want to steal it from you and despite the temptation to exchange it for golden nails. AW: We like the idea of the mirroring the characters between Morten’s daily life and Morten’s tiny adventure. How did you come up with the idea? Kaspar Jancis: The mirroring characters is influenced by classical fantasy stories where the reality and dream refer to each other. I was interested in parallel-world themes that is used quite a lot in children’s literature, so in that sense it’s not a new idea to have alter egos in fantasy and reality. I was following the traditions here, I think if you sincerely believe what you are doing, there is not such a thing as an already-used idea. I adore Kafka’s The Metamorphosis, it had a big influence on me when I was teenager. I even wrote a few punk rock lyrics about being an insect back in those days. So the subject of a human becoming an insect has been a big inspiration for me through many years. You can find insect characters in all of my movies and I promise to keep that tradition. Don’t ask me why! AW: Why have you decided to use stop-motion as the film’s medium? Kaspar Jancis: Mainly because the shrinking story in a strange environment, like the flooded cafe, needed to have some room and light. It needed to look real to make it more exciting. The sets are stylistically realistic to give to the audience the thrill of looking at the world from the insects’ perspective. 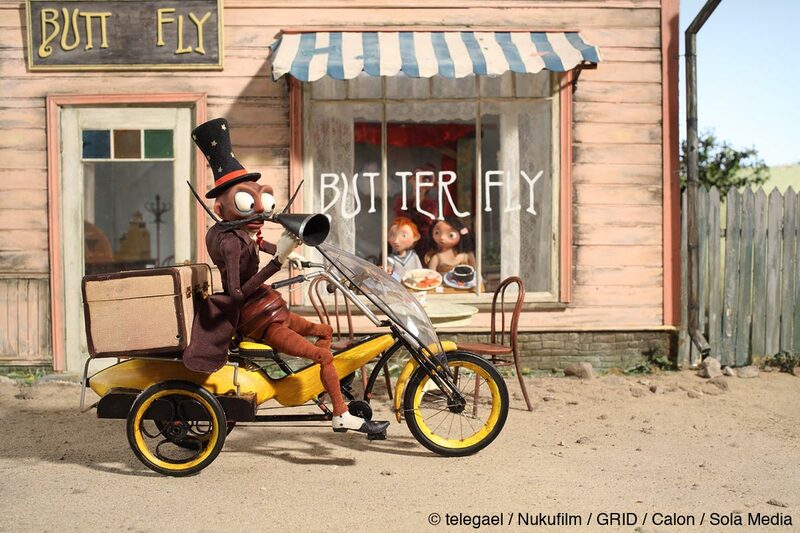 If I think of feature animations I like the most, then almost all of them are stop-motion. Stop-motion is the most cinematic medium of animation from my point of view. 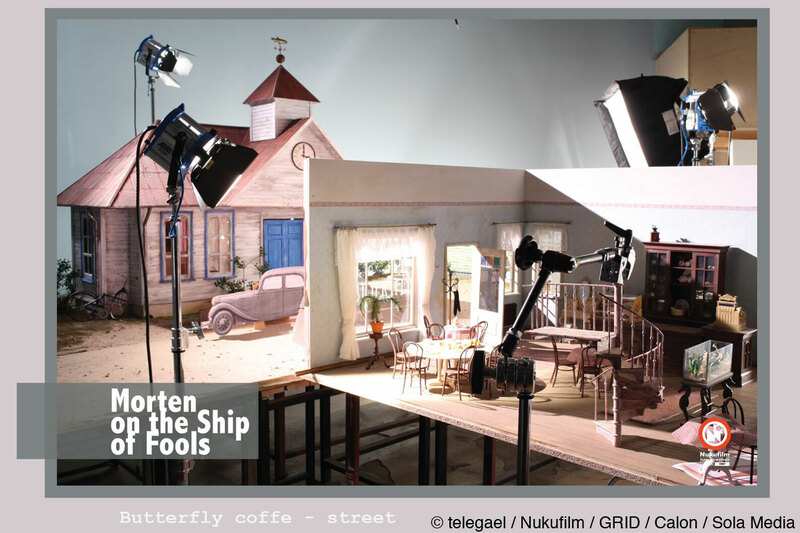 That’s why many famous filmmakers have chosen stop-motion as the medium for their animation projects. For me, it might be the step closer to trying out the live-action format. But I would like to return to stop-motion any time when it’s possible. It is magic and lot of fun, although it’s an incredibly hard and complicated form of cinema. AW: Many parts of the film were scenes on the water. How did you shoot these scenes so well? What kind of difficulties were there in making them with stop-motion animation? 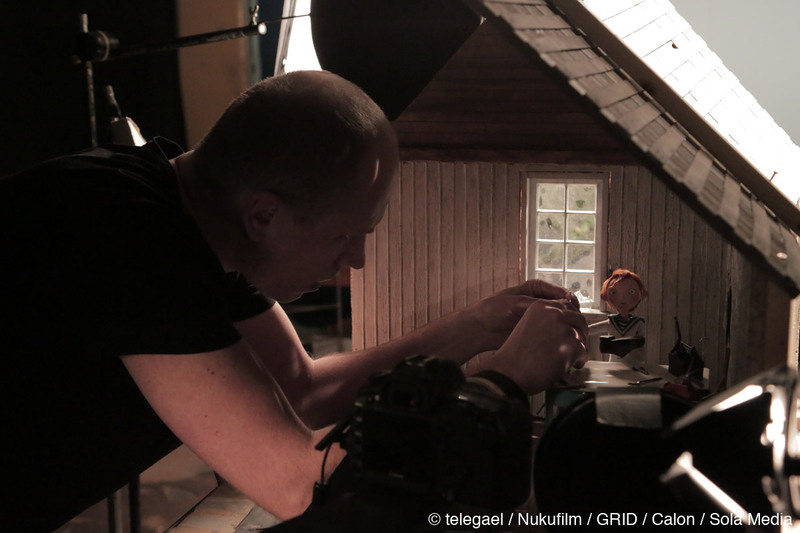 Kaspar Jancis: At first, we were trying to stay true to “real stop-motion”, by being dedicated to shooting everything under the camera, but the more we were diving to the material, the more we needed to admit that we are “losers” and we needed to get help from computers. Luckily, the guys from a Belgium company, Grid Animation, were really good and they managed to grasp the look of our real sets. Most people did not notice that we changed all the backgrounds to CG in the fantasy parts. It was impossible to do it the other way. Our very talented director of photography (DOP) Ragnar Neljandi did an amazing job in figuring out the right lighting to connect the green screen shots with CG water and backgrounds. We tried to give water a slightly less realistic look. It took some time to figure out how “stop-motion-like” it should look. The shooting process was quite difficult; our Irish co-director Henry Nicholson, who was in charge of a studio in Ireland where the shooting of the fantasy part of the film took place, said that this was the most challenging project of his life. And he is not the only one to think like that. AW: Were there any other unique technical challenges in creating the stop-motion for this film? Kaspar Jancis: The biggest challenge was definitely connecting the boat’s actions with CG backgrounds and water. The other issues were more common: technical problems connected to the size of the shooting space, construction of the puppets, etc. 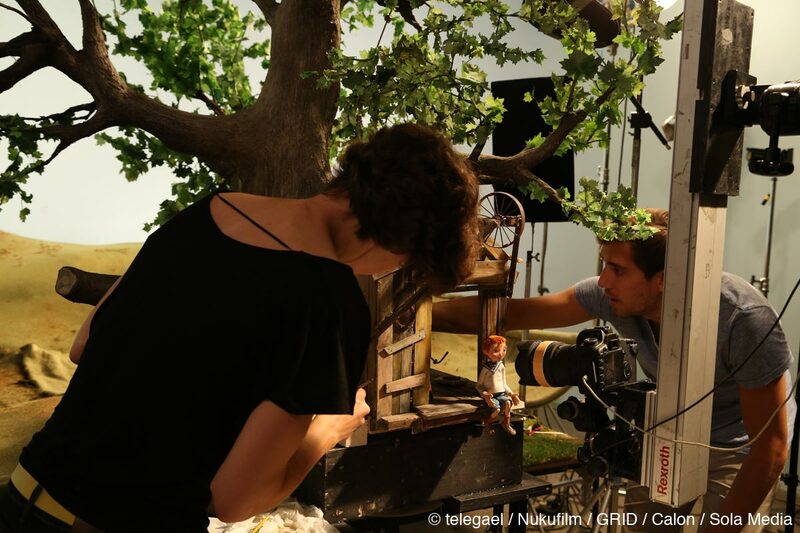 Nukufilm did not have any experience with fabrication of armature puppets before this film. 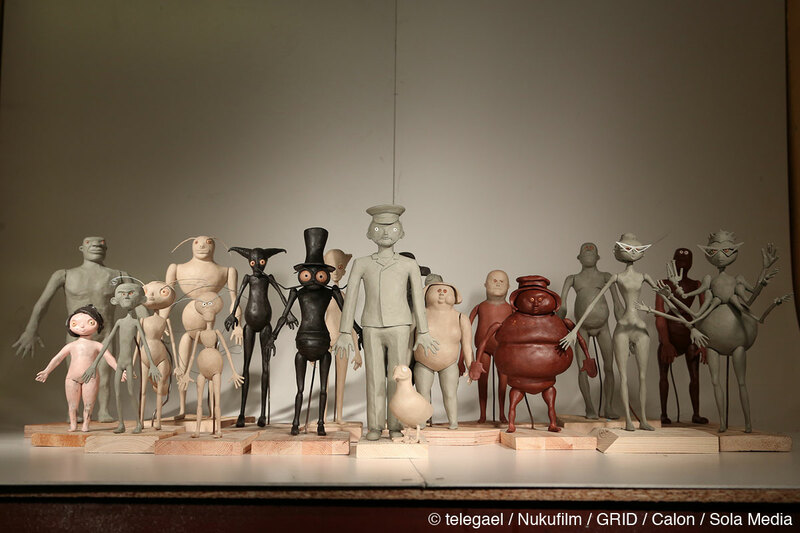 Now we can say that Nukufilm can produce good silicone puppets with armatures that can last for a feature. AW: We felt that the lighting gives the visual of the universe a sense of warmth and kindness. We would like to hear about your direction on lighting. Kaspar Jancis: The lighting was entirely done by our amazing DOP Ragnar Neljandi, who created an outstanding atmosphere for the movie. We clicked really well and I trusted his visions because they were matching mine. Our art director Riho Unt has also a big part in the creation of the visual universe. 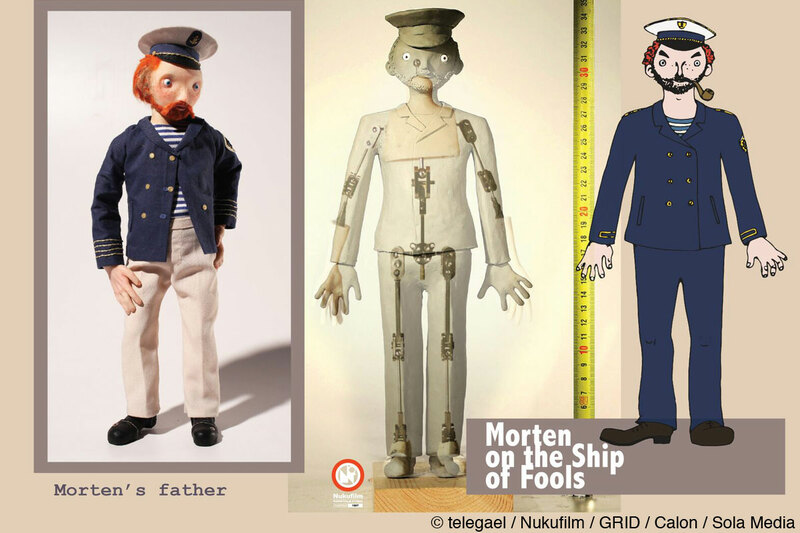 He and Ragnar had just accomplished internationally a very successful stop-motion short titled The Master. I think a lot of experience and feel from that film came in to Captain Morten. AW: Could you please let us know about developing the music in the film? What communication did you have with the composer? Kaspar Jancis: Pierre Yves Drapeau, the composer of our movie, introduced me to a band from Montreal called Fanfare Pourpour. I was immediately thrown into the idea of using their music and style in the film. It had a sort of positive, but not too sweet, energy and twist in it. The sound was something which was unique only for this orchestra. Also, Pierre Yves had always dreamt of working with them. So we decided to co-produce the music with Fanfare Pourpour. Honestly, it was quite close to not having this happen, because in such big projects like this, there is more than one opinion to deal with. But at the end of the day, we managed to record some new music composed by Pierre Yves and used some songs of the band to create the unique score for our film. AW: Lastly, could you please let us know your favorite character and scene in the film and why? Kaspar Jancis: I really can’t tell you who is my favorite, I tend to not have favorites. It is the same with scenes. The film works all together as an ensemble. The scenes and the puppets support each other. The value of one depends on the framework that the others create. They are like people who’s features come out in comparison with their background and reflections from others. In that sense, I try approach it holistically. A perfect film is when you don’t have any character or scene that cannot be described as your favorite, which obviously means the opposite is true.